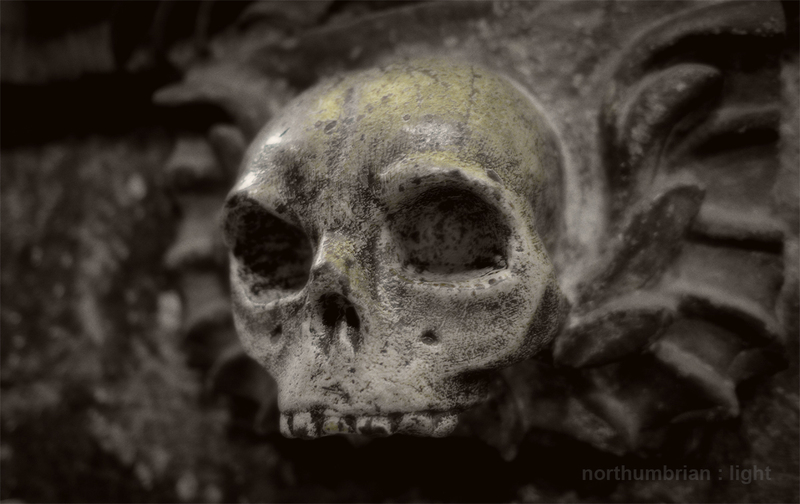 Things can only get better – the UK weather at the start of 2014 has been dreadful, a combination of high winds, high tides and endless rain … The bike remains on charge in the garage, the golf clubs hide in the boot of my car and the cameras remain on the shelf – too dull/wet/cold to venture out. 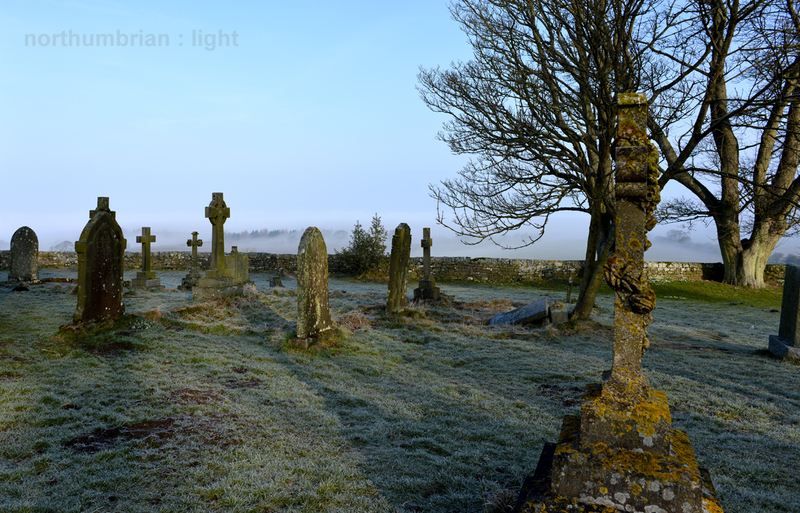 The weather has turned for the worse again so I will return to the one bright day of the week, Tuesday and the early morning trip to the appropriately named Heavenfield. 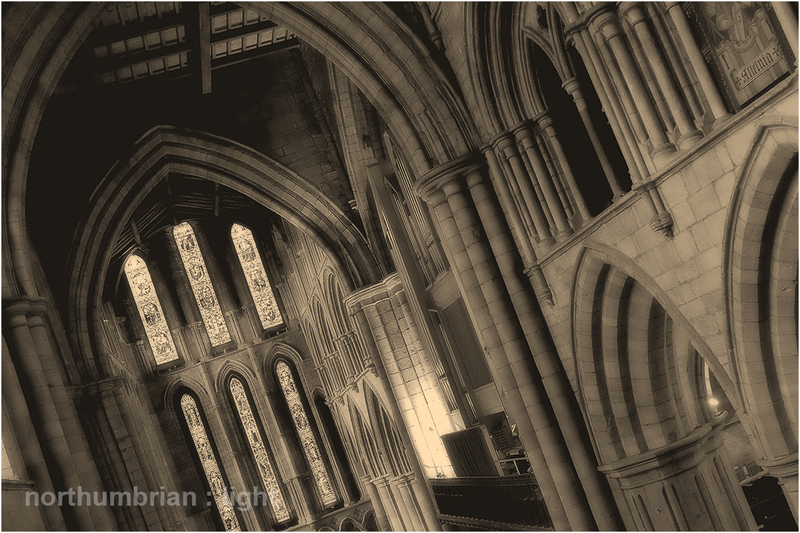 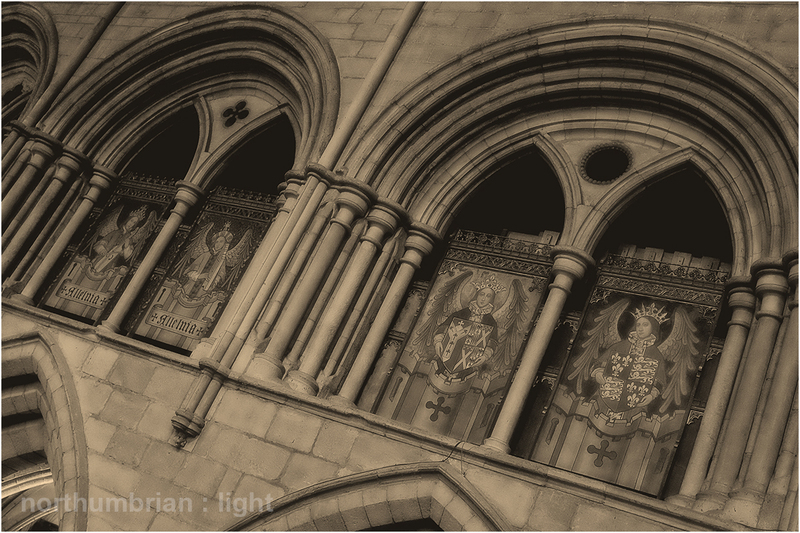 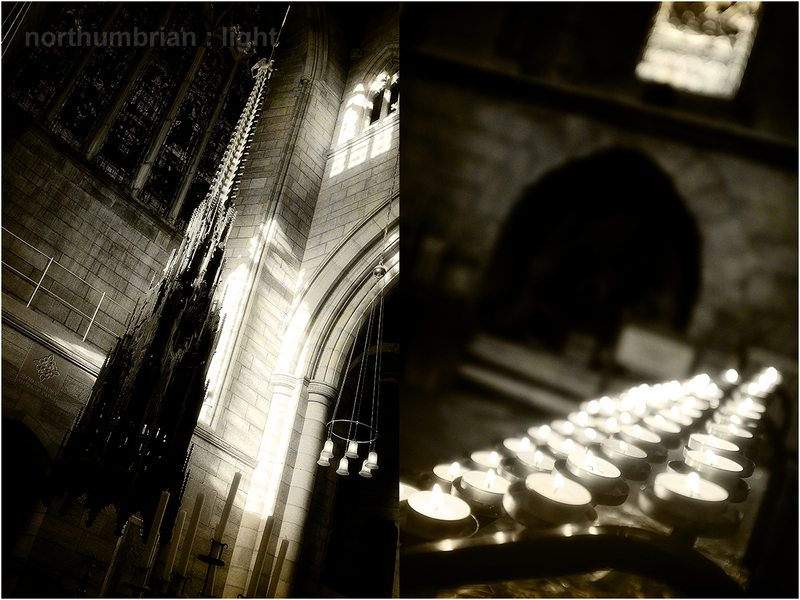 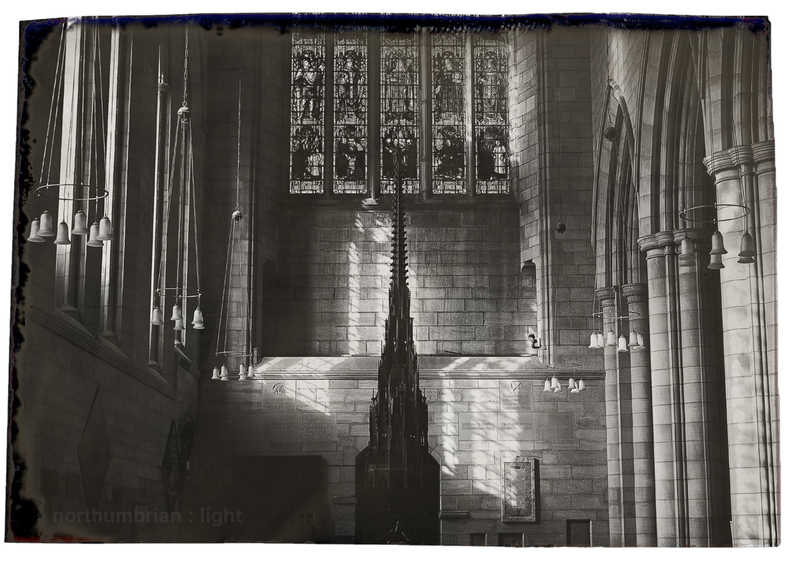 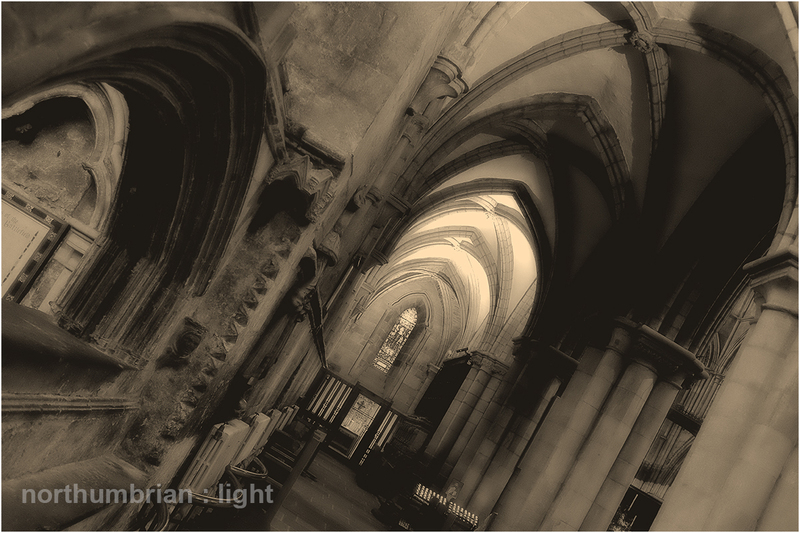 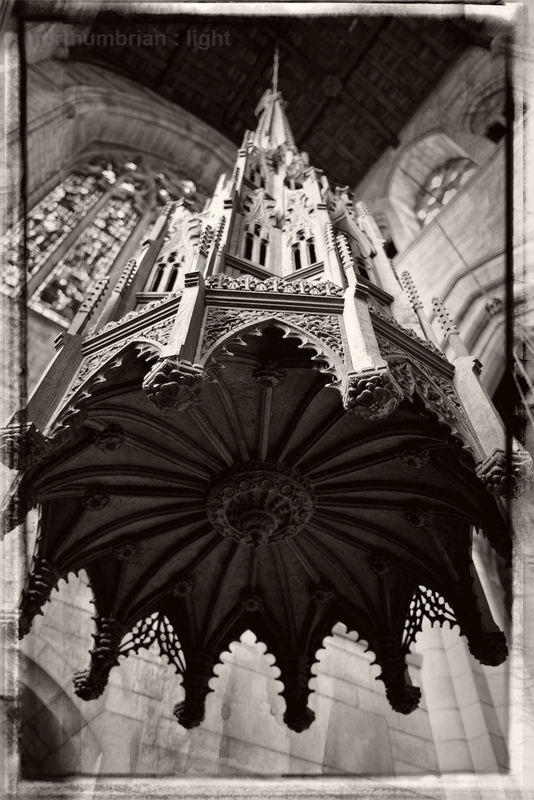 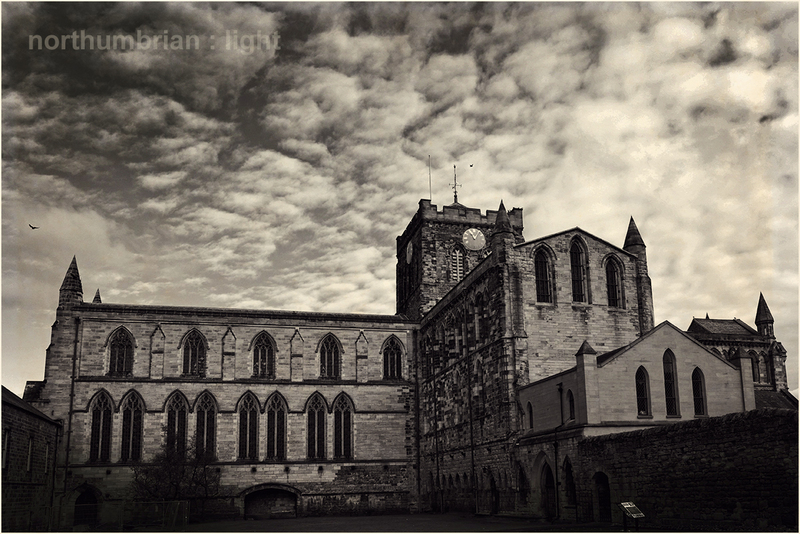 Last week I posted photographs of Hexham Abbey and there is inevitably a link between the two. 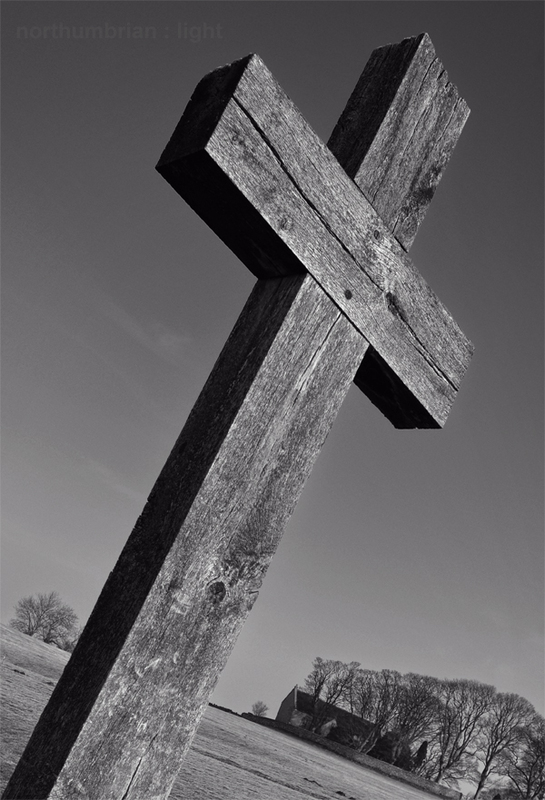 The site of the small church is believed to be where King Oswald raised a large wooden cross prior to the Battle of Heavenfield (AD 635); the successful outcome of this conflict with Cadwallon, “the accursed leader of the Britons”, resulted in re-establishment of Celtic Christianity and the Golden Age of the Kingdom of Northumbria. 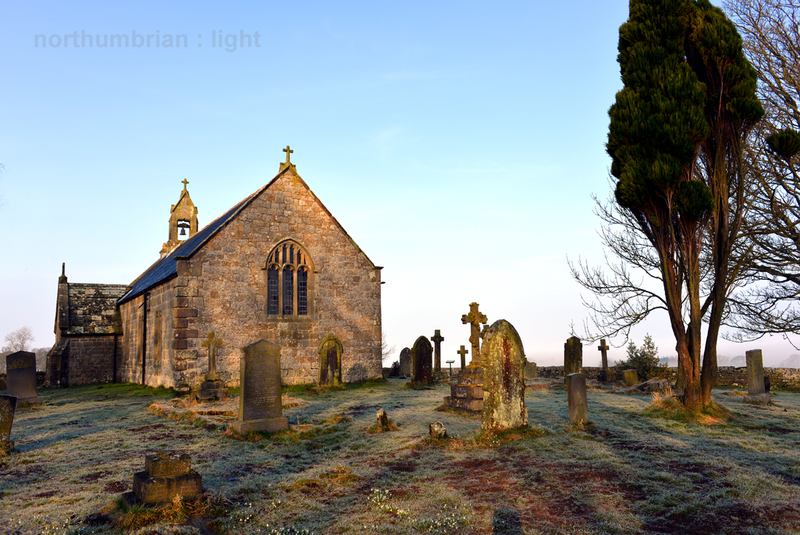 Monks from Hexham Abbey held an annual pilgrimage to Heavenfield where splinters from the cross were capable of divining miracles; the site became such a popular destination that a small church was established in the late 7th Century. 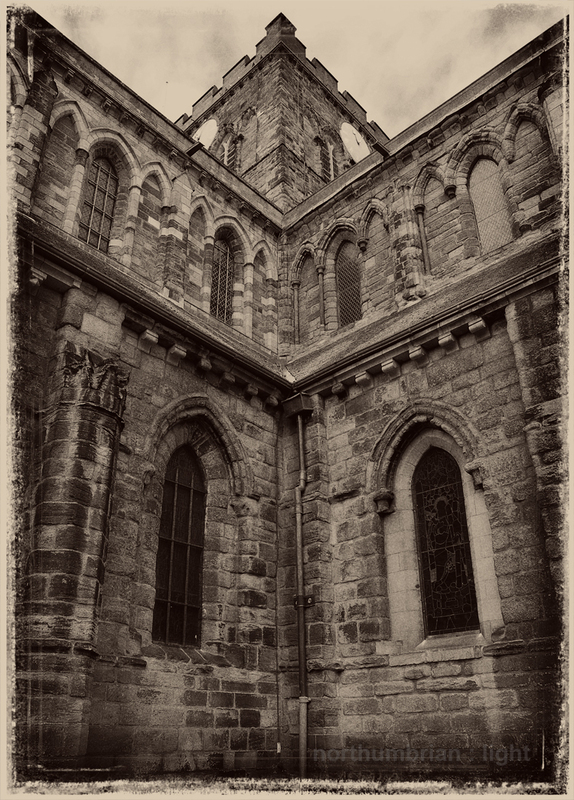 The present St Oswald’s was built in the 18th Century and is probably the third to occupy this site. 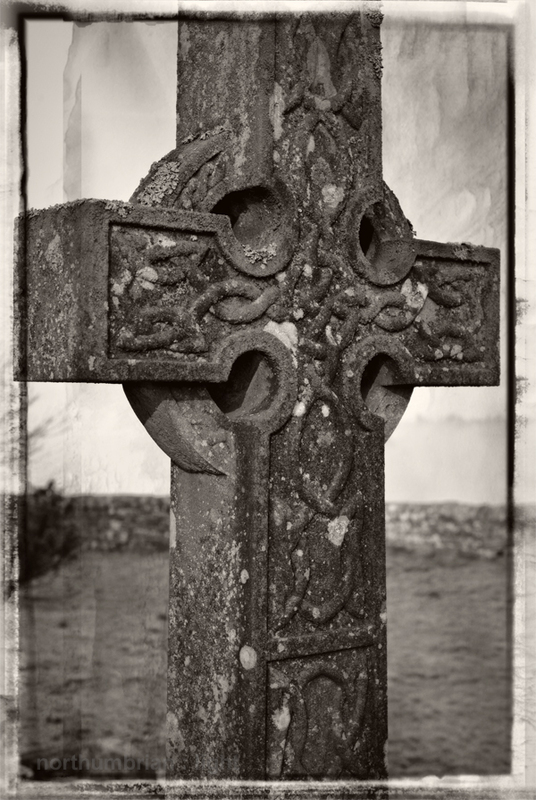 An annual pilgrimage from the Abbey to Heavenfield is still held each year on St Oswald’s Day, 5th August. 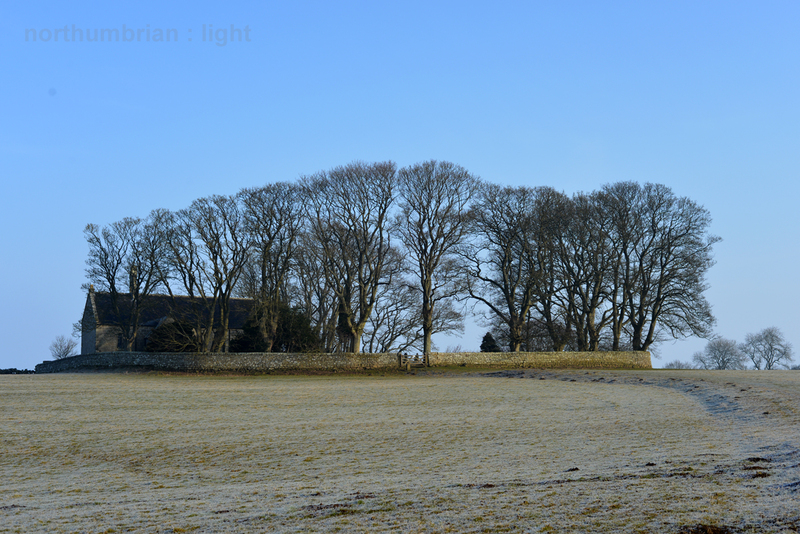 Set alone in a field, it has always struck me as the perfect location for a film set in the 18th or 19th Centuries there being no inconvenient evidence of the modern world; no tarmac to disguise, no road signs to remove, no overhead wires to constrain camera angles. 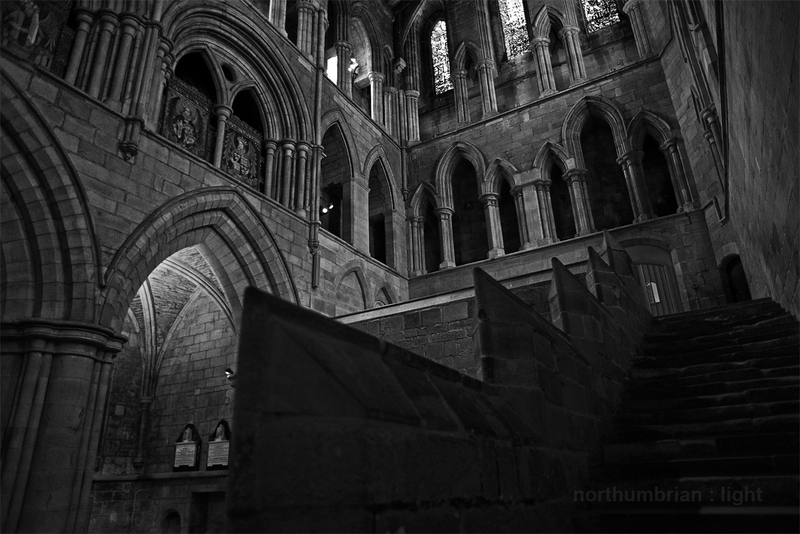 It is a divine place and also the end point of the St Oswald’s Way, a 97 mile long distance footpath from Holy Island. 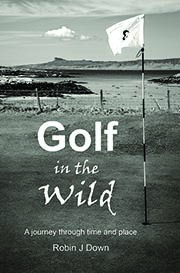 It is time to get those walking boots on. 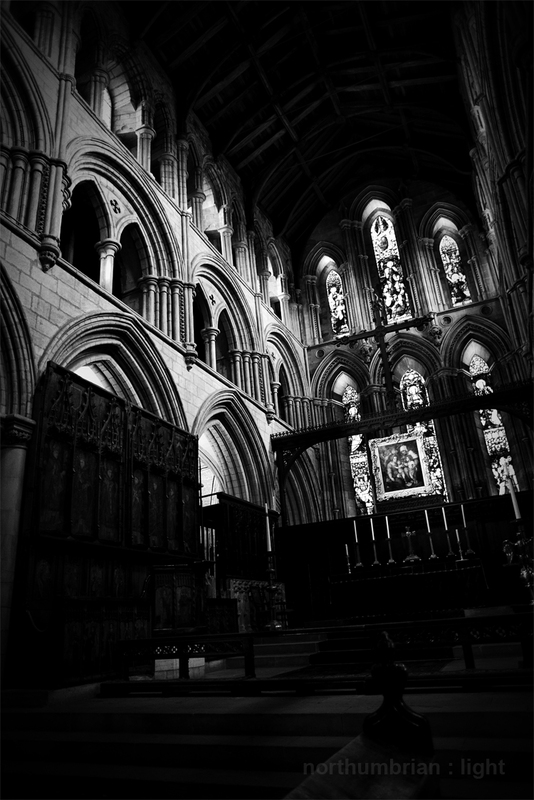 There is a wealth of information about Hexham Abbey here including many more photographs of its magnificent exterior: http://www.hexhamabbey.org.uk/.